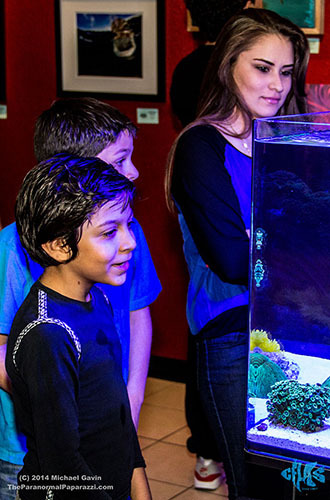 Now in its fourth year, the Central Florida Aquarium Society (CFLAS) presents Immersed, Orlando's premier aquatic art show, featuring aquatic-themed art utilizing a myriad of mediums, including paintings, sculpture, metalwork, and live aquarium installations. Conservation, management, and care of aquatic livestock is very important to our organization and our tens of thousands of members. For this reason, we strive to use aquacultured livestock that is farmed locally rather than collected from the wild in all of our displays. Every year, Immersed continues to grow in participation and attendance. Our month-long show is host to over 50 artists and exhibitors who showcase over $100,000 of artwork and aquatic installations for over 1,500 guests opening night, a combined total of more than 20,000 guests throughout the show's duration. All artwork and aquariums are available for purchase. There are also silent auctions and online raffles taking place throughout the event. We invite you to join us and #GetImmersed! What a tremendous way to share the hobby and aquatic life with the community, do some education, and give artists a way to show off their work in a different environment. I really applaud them for being creative with this. I think it's just a tremendous idea. I think this event is great. 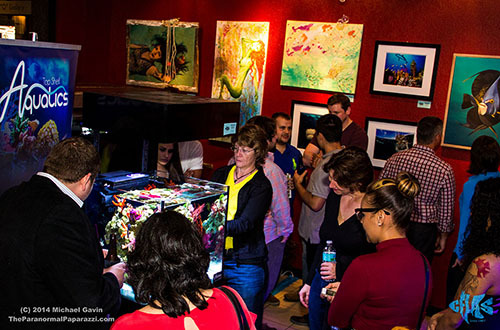 There's not a whole lot of other [art galleries] geared towards underwater themes, and in general, there's not a lot of places for artists to express their work in Orlando, so events like this are really invaluable. 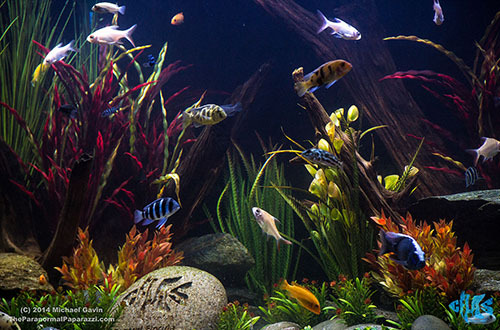 Aquariums, whether large or small, are always a form of art, letting the designer express their creativity and style throughout the tank. The Central Florida Aquarium Society (CFLAS) will be hosting "Immersed", Orlando's [premier] aquaculture art gallery exhibit. Water and Art come together... We'll see this from [CFLAS]... The new exhibit will feature a mix of aquascaped and hardscaped aquariums as living art installations, along side a gallery lined with themed photography, paintings, sketches, and sculptures. It has been such a growing experience and I am so extremely proud of how Immersed turned out! We invite everyone to join us at the opening night reception of Immersed. Be the first to meet our art and aquarium exhibitors, mingle with show patrons and the who's who of Orlando, and support the Central Florida Aquarium Society, Downtown Arts District of Orlando, and CityArts Factory with your purchases. Beer and wine will be served at the cash bar. Admission is free. Parking is just $4 when you park at The Plaza Parking Garage and present your ticket at the front desk. CityArts Factory is closed Sundays and Mondays. Immersed is open for general viewing during regular gallery hours. Admission is free. The gallery is closed on Sundays and Mondays. Register For Our Mailing List / don't miss an event! How do I submit art for Immersed? Download and submit an application. Complete details on the submission and review process are outlined in the application. Admission for general viewing is a suggested $5 donation. Additional fees may apply for private workshops and programming. How many guests attend the show? Immersed hosts around 1,500 guests between 6pm - 9pm on opening night, and approximately 20,000 throughout the month-long duration of the show. It is one of the highest-attended shows in the Downtown Arts District and CityArts Factory. Who makes all of the magic happen? You mean besides wonderful patrons like you? 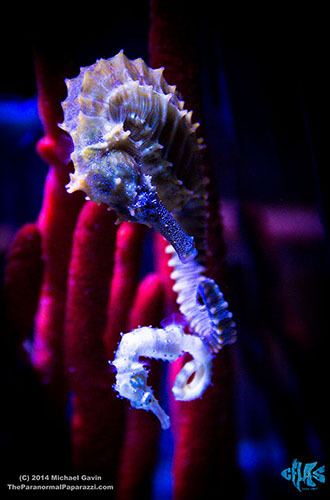 Immersed is presented by the Central Florida Aquarium Society and is produced by Denna Beena of Pink Hair Productions. You can always learn more about our artists, exhibitors, and sponsors in their related sections. The venue, CityArts Factory, is part of the Downtown Arts District of Orlando. We are always looking for volunteers to assist with setup. Contact us for additional information. It is through your generous support that we are able to produce educational aquatic art outreach programs like Immersed every year. Your donation will ensure our team is able to continue providing free programming and resources for years to come. If your organization would like to be a prize sponsor at Immersed with a product donation, please contact us.